The real story of American barbecue comes from Caribbean traditions where native residents used to slow cook meat over a wooden platform. These days, every town offers their own regional take and historic influences but the goal always remains; feed the hungry with finger-licking delights. 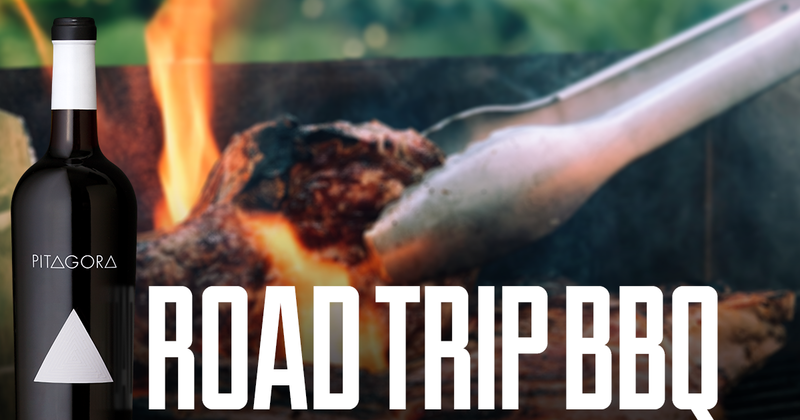 This summer, bring your appetite to these BBQ cities with your favorite Storytellers wine. Long hailed as the “world’s barbecue capital,” hungry visitors arrive in the Midwest for local pit masters’ dry rubbed beef and pork ribs, topped with thick and sweet sauces (made with both tomato and molasses). Drop by famed spots like Arthur Bryant’s for burnt ends; charred tips of smoked brisket piled high on white bread. Or order a meat combo cooked over hickory wood fire at Gates Bar-B-Q. On the way to a Chiefs or Royals game, stop by the no-frills C.’s Bar-BQ for grab and-go combo sammies. Just across the state line, Joe’s Kansas City is home to the legendary “Z Man” piled with BBQ brisket, smoked provolone and fried onion rings. To the delight of BBQ fans, the Southern city of Memphis hosts both classic roadside attractions and old-school mainstays. Since 1948, the subterranean Charlie Vergos’ Rendezvous (which locals dub The ‘Vous) has been serving dry-rub pork ribs and brisket combo platters from its cozy confines. Meanwhile, the 50’s flared roadside Cozy Corner is known for its smoky-meets-spicy Cornish game hens and tender ribs while Central BBQ churns out a Tex-Mex inspired nacho platter made with pulled pork and a mixture of ‘cue and cheese sauce. About four hours north of Memphis, this Southern town is also blessed with award-wining barbecue institutions. In downtown, sample the pimento cheese with saltines, pork rinds and Memphis-style dry ribs at Peg Leg Porker. Meanwhile, with a few locations fans have ample chance to sample Edley’s BBQ smoked chicken with Alabama white sauce. Martin’s Bar-B-Que is known for its hickory smoked whole-hogs coupled with corncakes and slaw while the venerable Jack’s has a range of family classics from pork shoulders to smoked turkey. All hail to Texas. Fans wait in lines to nab the coveted brisket, pulled pork and Tipsy Texan sandwich at the lunch-only Franklin’s Barbecue alongside heaping sides of potato salads, baked beans and cabbage cole slaw. Psstt: for dessert, save room for the airy-sweet banana cream pie. The hip joint La Barbecue serves ribs and sausages on a Martin potato bun alongside popular Chicago style hotdogs. Still hungry? Drop by Freedmen’s Bar for the aptly-titled Holy Trinity plate made with brisket, sausage and pork spare ribs and all the fixings. You’ll find diverse styles of ‘cue in North Carolina from East taste profiles (pepper and vinegar sauce) to West ingredients (tomatoes, brown sugar and vinegar). Start your meal at The Pit where Texas-style delights include brisket and the spot’s namesake, pit-smoked free-range pork and sides like slaw and beans. The down-home Ole Time Barbecue has an old wooden counter churning out items like St. Louis style ribs and hand chopped pork. The cash-only institution Clyde Cooper’s Barbecue (since 1938) also serves hand-copped BBQ trays and fried chicken with a side of hush puppies.